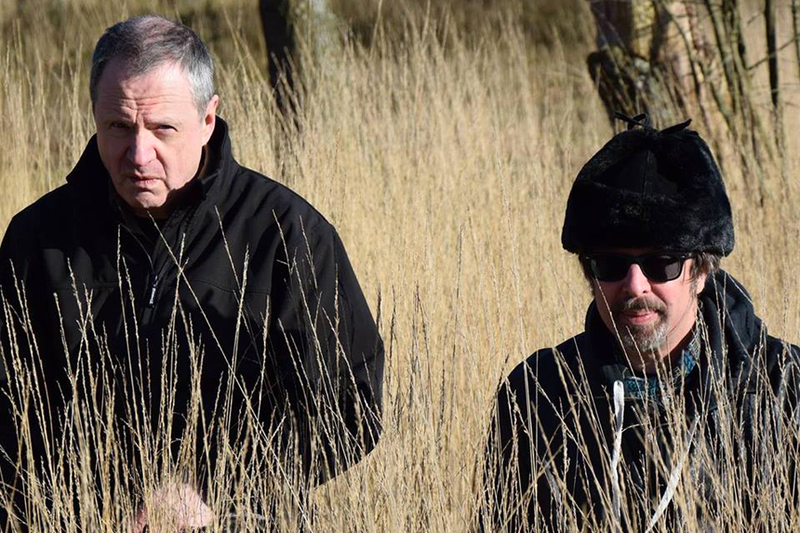 ReGen Magazine speaks with Jean-Marc Lederman and Jean-Luc De Meyer on their new collaboration, a work of pure creative passion that draws on their rich collective history as two giants of modern electronic music. Any collaboration between two living legends of modern music is at the very least a curiosity to be satisfied, and at best an occasion to revel in new sparks of creativity. 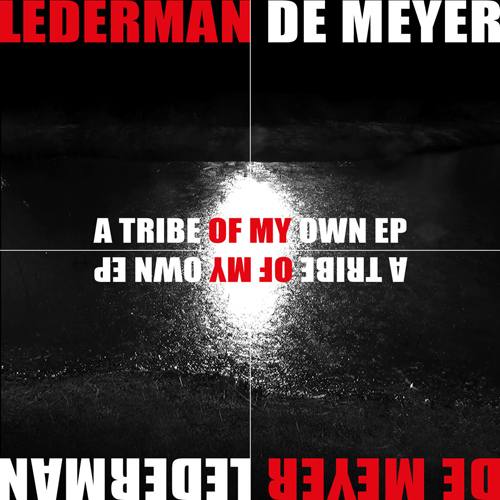 With Lederman / De Meyer, two of Belgium’s most celebrated figures in electronic music join forces to present yet another aspect to their own artistic personalities. Keyboardist/producer Jean-Marc Lederman has been one of the most prolific musicians of the last several decades, having worked in such high profile bands as Fad Gadget, Gene Loves Jezebel, The The, and Front 242, as well as his own projects like The Weathermen, Kid Montana, and Ghost & Writer with Seabound’s Frank Spinath. His numerous credits also include remixes for the likes of Psy’Aviah, Metroland, and Diffuzion, recording with Luc Van Acker and the late French songwriter/actor Alain Bashung, composition for video games, and recently developing a musical iPhone app with Japanese multimedia artist Masayuki Akamatsu and former Kraftwerk member Karl Bartos. And then, there’s vocalist Jean-Luc De Meyer, whose work in Front 242 alone has virtually defined modern EBM and electro/industrial for its dynamic melody and gravelly tone. He has fronted groups like C-Tec, Cobalt 60, 32Crash, and Modern Cubism; as well, he has been heard in recordings by such groups as Haujobb, Front Line Assembly, Suicide Commando, Psy’Aviah, Bigod 20, and Birmingham 6. With such history and experience between these two giants of electronic music, their impact simply can’t be understated. Signed to Alfa Matrix for the release of the A Tribe of My Own EP, audiences received the first taste of what the pair’s impending debut album, the appropriately titled Eleven Grinding Songs, has to offer, full of powerful rhythms, sardonic lyrics, and even some jazzy atmospheres to boot. 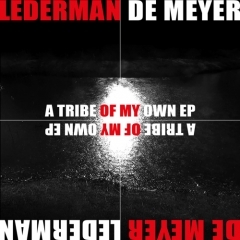 ReGen Magazine has the singular pleasure and privilege of presenting this InterView with Jean-Marc Lederman and Jean-Luc De Meyer as their discuss their collaborative methods and how Lederman / De Meyer stands out in their collective discography as a work of pure creative passion. Would you please tell us about your ideas for this project, what your individual conception and/or desires for it were? Lederman: They were none at all as we started this not knowing how far we would go. I was asked for a Fad Gadget cover, and I thought JL would be the right singer to do the vocals on it. So we recorded this and liked our working relationship, and we went on, quickly found ourselves with five songs, so why not do an album when you’re already that far? De Meyer: I didn’t expect anything but one, then two, then 10+ good songs. It was fast, cool, and easy. The pleasure grew with the making. As you worked together, how did your ideas change or develop from what you originally intended? Lederman: The key was the idea of not bashing our heads in and to have a smooth collaboration. And then it developed when we started to have a few songs and when we thought there should be some variety in our work in order not to get bored and not to bore the listener. So we sort of broadened the spectrum. In what ways do you feel your expectations were met or surpassed? Lederman: I didn’t have any expectations. I just wanted to make cool songs to listen to. So, yes, we surpassed the no expectations level. But, to be honest, I knew that JL could manage, so I was always looking for real crispy and inventive material. Perhaps this is just my interpretation, but I noted a certain ‘jazzy’ quality to the first few songs – i.e. 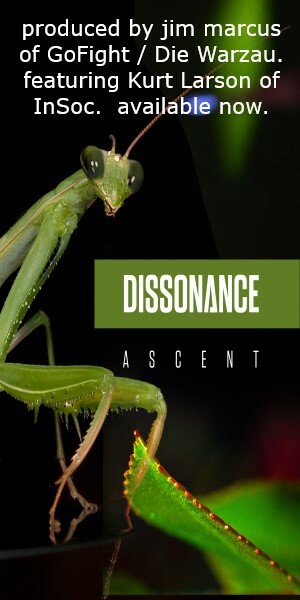 sparse but complex rhythms, stabs of a horn section – and as the album progressed, it became much more electronic and closer to an EBM style. Was this intentional, and if so, what is the significance of this progression? 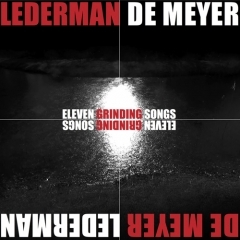 Lederman: The order was decided when all songs were completed, so there wasn’t a plan to have them evolving from no-music to closer-to-EBM ones, but rather more to see how it would work as an album with ups and downs, to make it fit as an experience. It was stated that the songs are ‘about human beings – their fears, their hopes, their dark side, their bright side.’ Does the order of the tracks relate to these themes at all? De Meyer: Not particularly. Tough to answer to that one. Joker! Jean-Luc is one of the most celebrated vocalists in electronic music, but to what extent does he contribute to the music? De Meyer: Honestly, not much, at least in the original process. It’s clearly not a role where I see myself qualified and useful. Lederman: Each song is proposed to him as an instrumental demo and his observations (can) affect the structure of the song (if he suggests a shorter verse or a longer chorus, etc.) and the sonic spectrum (different sounds, ideas for the final mix…). So, he does indeed contribute to the music in how he would like it to be shaped. Does he play any role in the instrumentation? Lederman: Not really at the first stage, when I’m composing the song, but more as we go to the mixing point, yes. In what ways do his words and vocal style affect the composition and how the songs are written and arranged? Lederman: I know his voice pretty well and always try to embed my compositions to leave room for it, in a way to make his work easy – I don’t always succeed, but JL rarely told me that he could absolutely not work on this or that song. We dropped a couple of songs by mutual agreement as we thought they didn’t match the others. As the lyrics are generally written after the music is composed, they don’t affect the composition, but do have a major impact of the final arrangement. On the other hand, to what extent does Jean-Marc participate in the lyrics? De Meyer: As he composes the music alone in the first stage, I write my lyrics alone in a second stage. I always listen to his remarks, I am open to rework (even completely, sometimes) or replace parts that are not convincing. The main goal is to make a song that works and that makes the both of us happy; all the rest is secondary. The ego fight that I have known in other projects is not present here. Jean-Luc also has a unique tone to his voice – melodic, but with a gravelly quality. Are there any sorts of exercises he does to keep his voice in top form? De Meyer: Except singing just for fun for at least three hours a day without even being aware of it, no. I went to twi famous teachers 25 years ago, they both told me not to take singing lessons because – I quote one of them – that would be ‘polishing a diamond that needs to remain raw.’ They both thought that taking lessons would make me hide my real voice behind a technique. King Crimson has a song called ‘Happy With What You Have to Be Happy With,’ whose lyrics mock the simplicity of popular music, while CHANT has a song called ‘Bring Me the Head of the Music Critic,’ which (of course) takes a stab at music critics. The song ‘Flowers and Birds and Bees,’ which has to be one of my favorite tracks on the album, due mainly to the lyrics, seems to follow a similar theme; would I be correct in assuming that the song is autobiographical? De Meyer: Largely. I like to sing at various ‘social’ circumstances (private parties, open mic sessions…) and always keep a low profile anywhere I go, so I often hear people commenting on my singing afterwards, without knowing my background. It is always quite funny. Last year, I sang a birthday song in French for a friend, in front of 100 people; an old woman came and told me that I had a sweet voice and should record an album with lullabies and romantic stuff! More generally, I received a lot of (unsollicited) improvement advice by people who never recorded a song and never went onstage. I always listened politely. The last part of the song you mention (going ‘Na na na na na na’ etc.) is for them. What are your thoughts and observations on the state of music today – not just in the popular market, but on the whole? Lederman: Too much pushing the same presets buttons, but overall, yes, some great stuff still continues to be released along with this total dross. Nothing has changed, although there are more monkeys now due to the availabilty of music all-in-one-box softwares. Also, Jean-Luc’s voice is very distinct and recognizable; in what ways does he continue to challenge himself and the way he approaches singing and writing lyrics? How did his approach in Lederman/De Meyer differ from, say, Front 242 or C-Tec or any of his other projects? De Meyer: There was always a direction line in most of my projects (C-Tec was/is about spiritual and paranormal concerns, 32Crash about science-fiction, etc. ), but here, there isn’t any… or if there is one, I haven’t clearly realized it yet myself. It gives a lot of freedom and it shows, because I never wrote an entire album so quickly. Everything was just flowing. Similarly, Jean-Marc, what sort of personal challenges did you encounter with your writing style in Lederman/De Meyer? Lederman: None in particular; like in all my projects, my first target is to achieve something exciting with a singer and his/her enjoyment of a smooth/well working collaboration. 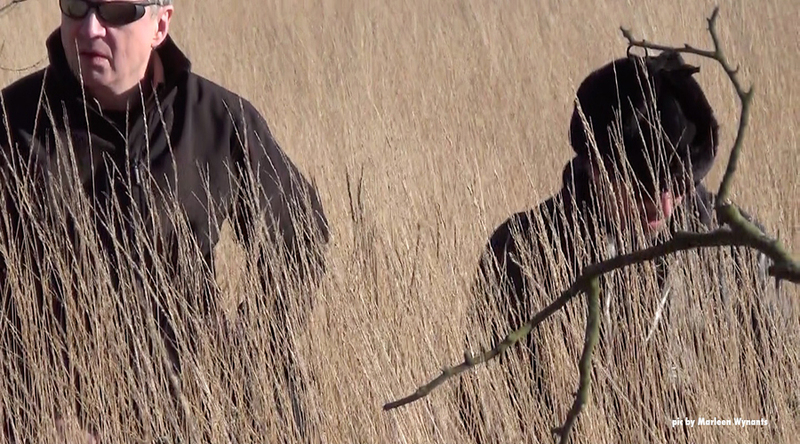 Here with JL, I try to create sonic soundscapes that are not in the Front 242 or EBM zone, but stay within the reach of what he likes to do or explore. How did your approach differ from The Weathermen or Fad Gadget or your other projects? Lederman: Didn’t differ. I always try to find that sweet spot between inventiveness and pleasure of working. Working in electronic music, you undoubtedly must keep up, at least to some extent, with the advances in technology; can you tell us a little about new tools or ways of working that have excited you and kept you inspired? Lederman: I have been waiting all my life for the musical equipment to get better at better price. This is now, so it’s an exciting time for me! I’m trying to move from software to software to make it more challenging, but not to the point where you need aspirin because the tools you use make your work become too intricate. What sorts of new developments would you like to see happen that haven’t yet? Lederman: One-stop cloud service with all sound libraries available at cheap prices. Jean-Luc just completed a long touring cycle with Front 242, and he is going to be performing with C-Tec for the first time since that band’s Cut album in 2001. Are there any plans for the two of you to take Lederman/De Meyer on tour? De Meyer: Only if we receive enough proposals at decent conditions. There is a lot of work involved before playing live, and we are not ready to start all the process unless it is really worth it, quality and quantity wise.